Star Wars: The Force Awakens came out ages ago but I only just went to the cinema on this past Saturday with my mum to see it. Honestly, I've never watched any of the other 6 films nor have I read the books or seen the TV show. 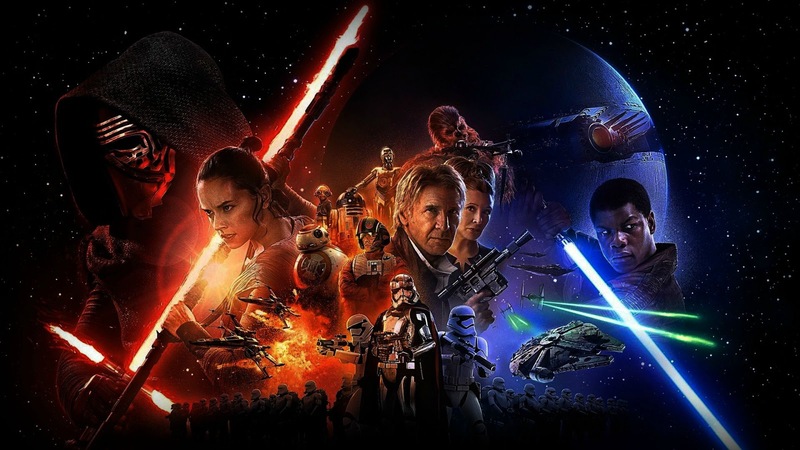 I had absolutely no interest in Star Wars and I didn't really want to see it...BUT I was incredibly shocked by how much I enjoyed it. I ended up getting so involved in the stories and I can't wait for the next film. Having had this film left on a cliff hanger (literally ;) ) it's just a given that another will be made soon! I watched a YouTube video which introduced me to the apparently famous introduction the films always seem to do. Luke Skywalker has vanished. In his absence, the sinister FIRST ORDER has risen from the ashes of the Empire and will not rest until Skywalker, the last Jedi, has been destroyed. With the support of the REPUBLIC, General Leia Organa leads a brave RESISTANCE. 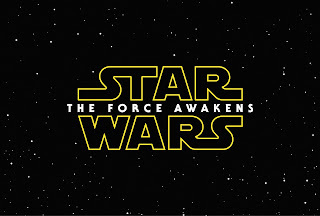 She is desperate to find her brother Luke and gain his help in restoring peace and justice to the galaxy. 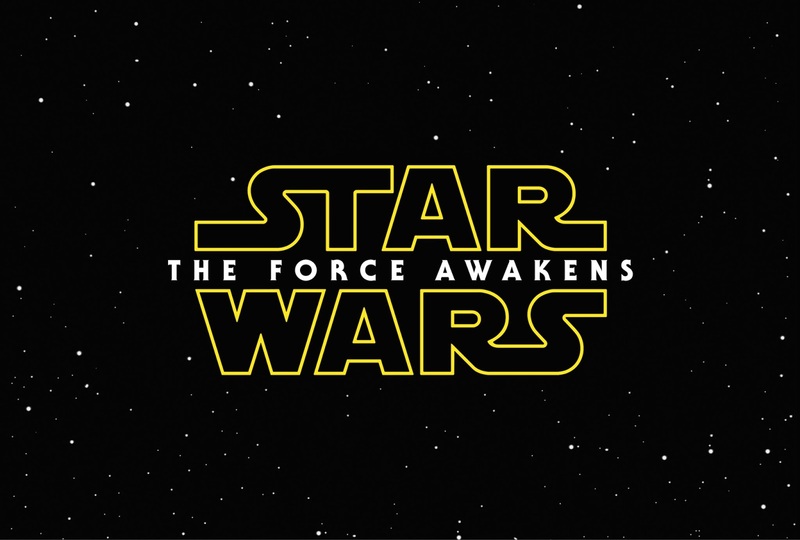 Leia has sent her most daring pilot on a secret mission to Jakku, where an old ally has discovered a clue to Luke’s whereabouts..."
The film begins with resistance pilot Poe Dameron meets a village elder on the planet Jakku to obtain a map to Luke's location. Stormtroopers suddenly enter and destroy the village. Poe tries to help but only gets captured himself. Luckily a droid BB-8 escapes with the map. From there the two stories separate until they meet again. 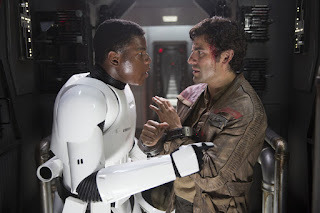 Poe ends up being tortured into revealing where the map is only to have Finn, a stormtrooper who discovers he can't kill for the First Order, rescue him. 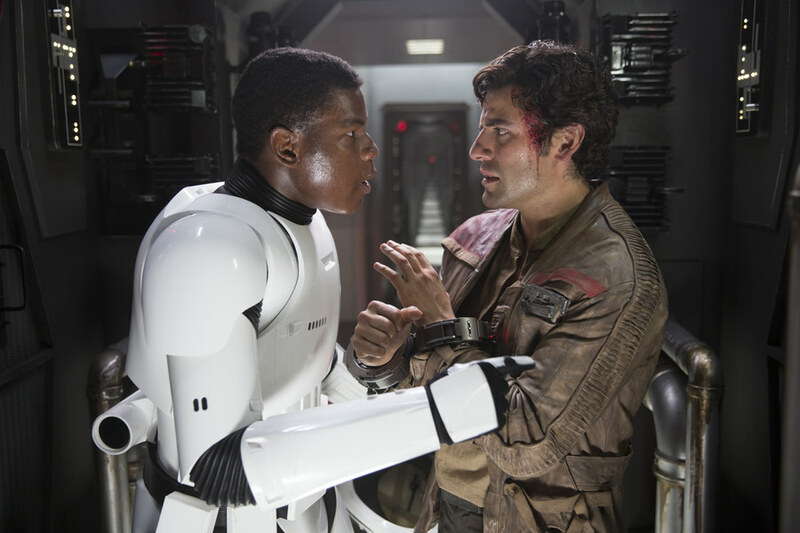 Together the two escape with Poe flying and Finn shooting the enemy. 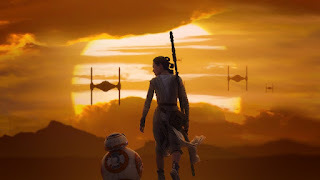 While elsewhere back on Jakku, BB-8 meets Rey, a young girl waiting alone for her parents to return, who rescues him from being taken apart for money. When Poe and Finn crash on Jakku, Finn sees the ships remains being sucked into a sink hole and so fears the worst and goes in search for water. There he meets Rey and BB-8, whom he recognises from Poe's tales and together they vow to return him to the resistance. 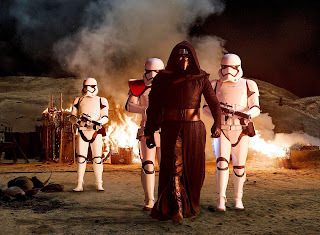 Only, now they have the First Order chasing them and the only way to survive is to steal a ship. 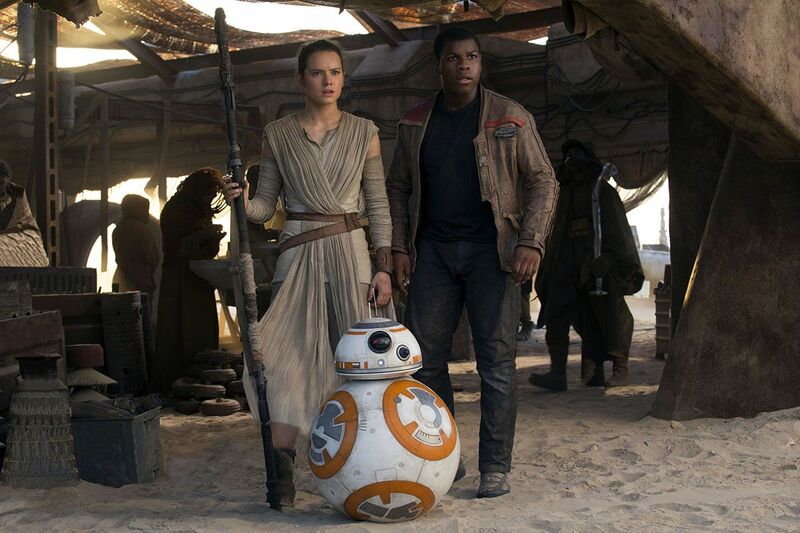 From there on, Rey, Finn and BB-8 are together fighting against the evil forces to try and restore that which they once knew. Along the way they meet faces from past Star Wars heros in the likes of Hans Solo, Leia and their son, along with R2D2 and Chewbacca. Having not seen anything related before , I worried I would be confused and while I didn't get the relationships until they were clearly spelt out for me and I didn't know exactly what 'The Force' was I still felt I understood enough to enjoy it. I think it's definitely been made into a family friendly movie. There isn't anything that makes you jum which was actually a little disappointing for me as I like a little excitement. While the majority was predictable, there were a few twists when Hans Solo is reunited with his son again. The acting was incredible! I felt instant connections to everyone in the cast even robots and monsters who can't talk. I would love to know how they understand each other?! I also think that the scenes and settings were very well designed. They went from vast desert lands to a snowy mountainous planet and then to one covered in forests and lakes; for sure, the views would be breathtaking in reality. I think they film producers have definitely taken full advantage of the current trend of the teen female audience with having the lead character be a strong female. She's another Hermione Granger, Katniss Everdeen and Beatrice "Tris" Prior. But she's also surrounded by these critical pieces of the puzzle who know more in experience than she could ever fathom. I think she'll be a key piece in the next film and I hope we get to explore more of her family and who they were/are. I have a feeling that it will be the centre of the entirety of the next film. Valentine's Day: 5+Bonus DIY Decor! Valentine's Day: 6 Kids Crafts!